Insurance Agent New Year’s Resolution: Sell More this Year! Every agent I have ever known goes into a new year looking to write more business the next year. But few of them actually put a plan in place to accomplish that goal, and many of them fail to achieve what they expected to achieve. The biggest reason is they fail to plan, which really is a plan to fail. I’ve known a lot of agents who needed help here, and not because they weren’t smart enough, its just nobody had ever taught them how to put a plan together. They did not know where to start, and when they googled it, all they would get are results about writing a comprehensive business plan – which you don’t need unless you’re planning to go raise money from venture capitalists. 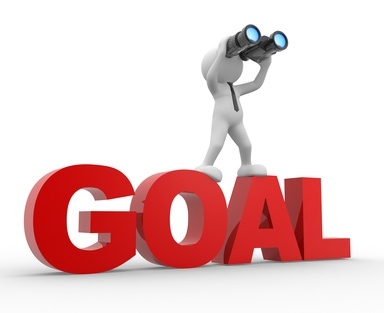 To get your goal, you just don’t dream up a number that you would like to make, hell, wouldn’t we all like to make $100,000,000 this year, but its not going to happen. Sit down, take a look at how much you sold over each of the last three year’s (get the real #’s – pull your tax returns) and come up with how much you sold per week on average in each of those years. Did it go up each year, did it go sideways, did it go down? Then look at your last year in detail to determine how much could you sell every week, week in / week out. Get a spreadsheet and find out what your best weeks were, your worst weeks and your average week. Then look at your best weeks and honestly answer the question -Were your best weeks aberations because you happened to sell a really big policy, or did you just have your act together and you sold a lot more policies that week. If the best weeks were skewed with a big policy or two vs just selling more policies, don’t consider them and look for your best weeks where you just sold more policies. Now answer the question, can you do that every week if you put your mind to it. If you answer yes, take the average of those weeks and multiply it by 48 (not 52, you will need a vacation or two, holidays, and some sick time). If you answered no, then you need to look yourself in the mirror and ask yourself “Why not?” because that is the number you can achieve. Don’t use excuses like open enrollment, carrier changes, etc – you are a small enough part of the market that there are always sales to find and these large macro events just make it easier at those times of the year. The number you just calculated is a pretty good estimate for how much you could earn next year if you did what you did in your best weeks last year and its a very good goal to have. You might be surprised when you see the number as it could be more than double what you made this year. Now you have your income goal – write that down. Goals are worthless unless they are in writing. Many very large enterprises keep their goals limited to 3 main objectives, and if its just you, you don’t have the headspace for anything more than that. One person with 12 goals most likely won’t get anything done. Write these goals down as well. And when you write your goals down, make sure they are SMART. Time-bound – how much will you earn a week and by when, what date will the new systems be implemented and in use, etc. With your goals in hand, you can now write your plan. I use an outline form because its easy to navigate and go back to. For your income goals, determine how many sales a week you need and then how many leads you will need a week to make those sales. We have a lead calculator you can use to figure that out – and it does not matter whose leads you will be buying. Then you have to put some deadlines on when you will have orders in with the lead company you choose to start getting and working those leads. For your other goals, you will need to write out a plan for each goal. If you don’t have a CRM, it would look something like this at a high level. Identify potential vendors – Google search and look at the CRM’s that are out there, call your associates, find out what they are using, get a rough idea of cost and see if its in your budget. Each step has to have dates and you need to print it out and post it where you work. Finally, once you have your goals and your plan to achieve your goals start working on them now – don’t wait until next year and review your goals every week to see how you are doing against those goals. Its really not that hard, and you will be amazed at how much you can accomplish if you put a plan in place. Best of luck getting your plan off the ground!